The first phase of polling for Lok Sabha elections 2019 will be held on Thursday. 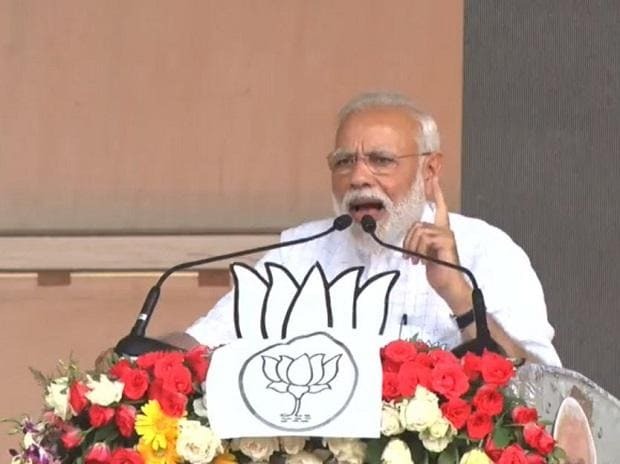 Today, while addressing a rally in Maharashtra, Modi appeared to be treading sensitive ground, by asking first-time voters to dedicate their vote to those who carried out the air strike in Balakot. "Can your first vote be dedicated to those who carried out the air strike," Modi said, appealing to first-time voters. Pakistan would not have born in 1947 had Congress leaders acted wisely in the pre-Independence era, Modi said. Modi referred to Thackeray as his "younger brother" and eulogised Shiv Sena founder late Bal Thackeray, whom he lauded for not occupying the chief minister's post and not installing Uddhav, his son, either in that chair. Congress president Rahul Gandhi, on Twitter, challenged Modi to debate with him on corruption. Let's go open book, so you can prepare, he said while listing out Rafale -Anil Ambani case, Nirav Modi, demonetisation, other topics. Meanwhile, Madhya Pradesh Chief Minister Kamal Nath and his son Nakul filed their nomination papers for the Chhindwara Assembly bypoll and Lok Sabha elections respectively. Former JNU students' union leader Kanhaiya Kumar filed nomination as Communist Party of India (CPI) candidate from Begusarai constituency in Bihar.